The QST 106 is a soft snow charger that also delivers precise, stable arcs on groomers and hard snow. It's floaty, predictable all terrain rocker profile and 3D Woodcore are reinforced with CF/X for power when you need it. The new one-ski quiver. 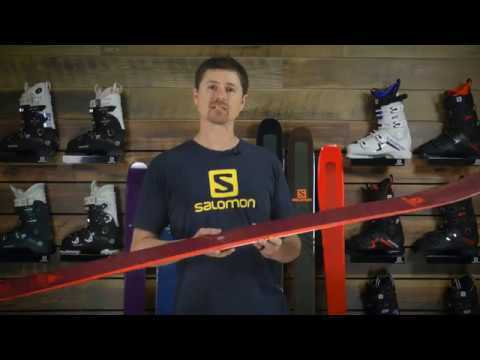 C/FX 3.0: Salomon's patented blend of carbon fiber and flax that runs tip to tail. CFX 3.0 uses lightweight transversal and longitudinal fibers to create enhanced strength, stability, and an increased level of dampening.